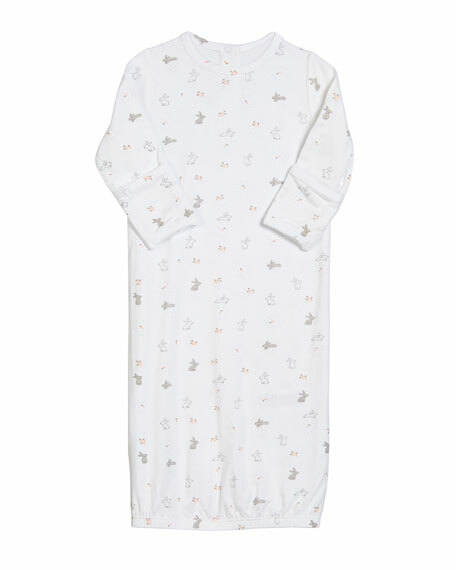 Angel Dear "Ditsy Rabbit" gown in allover rabbit print. Crew neckline; snap placket front. For in-store inquiries, use sku #2558117.